We are the government's expert advisor on England’s heritage and we have a statutory role in the planning system. Central to our role is the advice we give to local planning authorities, government departments, developers and owners on development proposals affecting the historic environment. ‘Constructive Conservation’ expresses the role we play in promoting a positive and collaborative approach to conservation that focuses on actively managing change. The aim is to accommodate the changes necessary to ensure the continued use and enjoyment of heritage assets while recognising and reinforcing their historic significance. Our advice seeks to minimise the loss of significance to these assets. We also look for opportunities to enhance the historic environment. 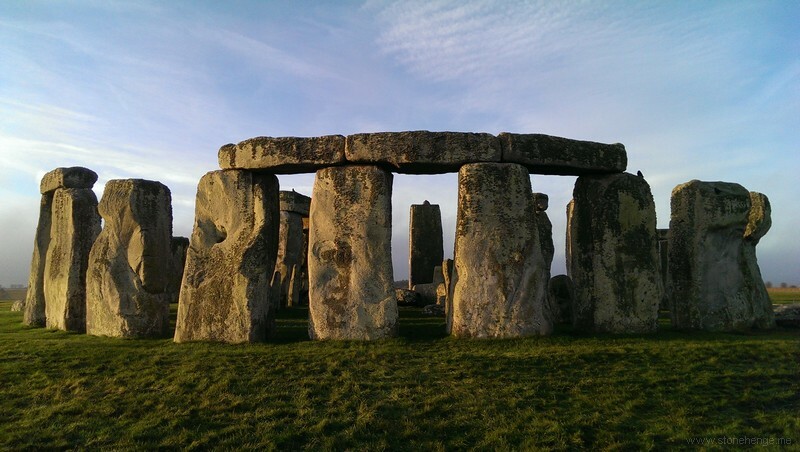 Historic England has been engaged with the current proposals to consider the improvement of the A303 through the Stonehenge World Heritage Site (WHS) since the Department for Transport (DfT) announced a feasibility study to look at potential solutions in early 2014. Prior to April 2015 our engagement took place as part of English Heritage. Our engagement with the feasibility study primarily took place through a DfT Technical Working Group, together with heritage partners the National Trust, English Heritage and Wiltshire Council. Our constructive engagement in this process was instrumental in the securing the Government’s December 2014 announcement that it would invest in a bored tunnel of “at least” 2.9km to improve the A303 through the WHS. Over the past two years we have continued to provide advice and guidance to the project as it has gone through the process of scoping, sifting and initial assessment of route options. A key aspect of this engagement was our recommendation that the advice of the UNESCO World Heritage Centre (WHC) and their heritage advisors ICOMOS be sought at the earliest opportunity, so that the project had the benefit of their ongoing advice throughout the development of the scheme and identification of routes. As a result of this an initial Advisory Mission was made at the invitation of UK Government in October 2015. The helpful and constructive mission technical report was received in April 2016, and we acknowledge the positive efforts made by Highways England to absorb the WHC and ICOMOS’s recommendations in the drawing up of the current route option proposals. We also recognise that this present phase of non-statutory public consultation represents Highways England’s commitment to demonstrating best practice throughout the life of the scheme’s evolution and design, beyond that required by the Development Consent Order statutory process, and that this early stage in identifying route options provides the flexibility necessary to achieve the best possible scheme. We understand that another stage of public consultation on amended /revised proposals will take place later in 2017. An early achievement in drawing up the parameters of the project was the inclusion within Highways England’s over-arching Client Scheme Requirements of commitments “To contribute to the conservation and enhancement of the WHS by improving access both within and to the site” and “To contribute to the enhancement of the historic landscape within the WHS…”1 The following advice is mindful both of these welcome commitments and of the preliminary nature of these proposals. 1. Stonehenge itself as a globally famous and iconic monument. 2. The physical remains of the Neolithic and Bronze Age funerary and ceremonial monuments and associated sites. 3. The siting of Neolithic and Bronze Age funerary and ceremonial sites and monuments in relation to the landscape. 4. The design of Neolithic and Bronze Age funerary and ceremonial sites and monuments in relation to the skies and astronomy. 5. The siting of Neolithic and Bronze Age funerary and ceremonial sites and monuments in relation to each other. 6. The disposition, physical remains and settings of the key Neolithic and Bronze Age funerary, ceremonial and other monuments and sites of the period, which together form a landscape without parallel. 7. The influence of the remains of Neolithic and Bronze Age funerary and ceremonial monuments and their landscape settings on architects, artists, historians, archaeologists and others. The protection of OUV as expressed through these Attributes, together with the Authenticity and Integrity of the WHS are therefore key considerations in assessing proposals within the site or its setting. Aspects common to both route options (from east to west) Countess Roundabout/junction – the proposals to improve Countess by means of a flyover for the A303 and grade-separated junction would not appear, from the information available in the consultation documents, to have any significant impact upon the OUV of the WHS, given the baseline condition of this part of the site. However, the infrastructure associated with the junction improvements, including signage, lighting, fencing, cameras etc will require sensitive consideration. Although it appears that all the proposed works will take place within the existing highway land-take, we note the potential for indirect (setting and visual) impacts upon the following designated heritage assets, which will require careful assessment: • Amesbury Abbey – Grade I, Grade II* and Grade II Listed Buildings, Grade II* Registered Park & Garden • Amesbury Conservation Area – we note that the northern edge of the conservation area abuts the highway land-take at Countess • Countess Farm – group of Grade II Listed Buildings on north-west edge of the junction. From Countess to proposed Eastern Portal – the consultation documents suggest that this section remains entirely within the existing highway land-take up to the point where the road would divert to the north to enter the eastern portal approach. It does not appear that this section will impact upon the OUV of the WHS, however any new signage etc will require very careful consideration. • Blick Mead – whilst of an earlier period than that for which the WHS is designated, this fairly recently discovered Mesolithic site is likely to be of national importance. It lies immediately south of the existing highway land-take along this section of the route. We are aware of concerns regarding the potential impact of changes in the water table as a result of the scheme’s development, and the detrimental effect this could have upon the preservation of the site. We understand that the site excavations are due to be published in 2017 and should enable its significance to be properly characterised. In terms of the proposed road improvement, its impact on groundwater levels and hydrogeology must be thoroughly assessed to demonstrate its sustainability and whether there would be any material effect upon the archaeology at Blick Mead. Eastern tunnel portal – the proposed location of the eastern portal follows one of the key recommendations of the 2016 WHC & ICOMOS report in placing the portal to the east of the Stonehenge Avenue. The Avenue in this location is known to survive as buried archaeological remains and runs nearly perpendicular to the existing A303 dual carriageway, by which it is bisected. By placing the portal to the east of the Avenue and removing the existing A303 from the eastern portal westwards to Longbarrow junction, it brings forward the eventual prospect of making much of its course through the landscape legible or even accessible to future generations. This would be a significant achievement for the conservation and enhancement of the WHS and a major improvement on the present surface road. The proposed portal location is also favourable in terms of its archaeological impact. Historic England, as part of the Heritage Monitoring and Advisory Group (HMAG – also set up in response to a recommendation of the 2016 WHC and ICOMOS report) was involved in the design and monitoring of the archaeological assessment and evaluation of the portal site. This work was undertaken to a very high standard and sampled a high percentage of the portal site and approach. Surprisingly, the results demonstrated a very low archaeological presence at this location within the WHS. We understand that Highways England will be making the results of this archaeological work publicly available as soon as it is ready to issue. The combination of negligible archaeological impact, preservation of the Avenue and the relatively low intervisibility between the portal site and OUV-relevant sites & monuments leads us to the view that the eastern portal proposals are acceptable in-principle and should preserve OUV. However, it is critical that the infrastructure is designed and located sensitively if this improvement is to be properly realised. The bored tunnel – the twin, fully-bored tunnel of at least 2.9km would deliver huge benefits for the WHS by facilitating the removal of the damaging and intrusive surface road that presently severs the Stonehenge WHS in two. It would entail the removal of the surface dual and single carriageway road from the eastern portal location on the east side of King Barrow Ridge across to Longbarrow junction on the west side of the WHS. This would enable the reunification of the WHS north and south of the current road. At present, around two thirds of the WHS lie to the south of the A303, effectively isolated from the northern part which contains Stonehenge and the other major ceremonial monuments. The land to the south of the current A303 contains some of the most spectacular groups of funerary monuments and a more diverse landscape than that which visitors are familiar with to the north of the road. At present none of this heritage is promoted for visitors because of the dangers inherent in crossing a busy trunk road. The bored tunnel presents an opportunity to hugely improve the visitor experience to the whole WHS landscape, opening up new views and new approaches to Stonehenge along public rights of way, in addition to the rich heritage of the southern part of the Stonehenge landscape. Removal of the surface road via the bored tunnel will significantly enhance the OUV of this part of the WHS, improve the setting of some of the country’s most important and bestpreserved prehistoric monuments including Stonehenge itself, and restore tranquillity to this ancient landscape. Western Portal – the western portal position as shown in the consultation documents requires significant improvement. The current location is very close to the Normanton Down barrow cemetery, one of the best preserved and most significant Neolithic and Bronze Age cemeteries in the UK. The portal would certainly have a significant adverse impact upon the setting of this barrow group and upon the OUV of the WHS. In addition, the harmful OUV impact is compounded by the portal location requiring a deep cut into the shoulder of Normanton Down, which will also have a significant adverse impact upon the interrelationship between the Normanton Down, Lake and Winterbourne Stoke barrow groups – three of the key monument groups that carry OUV. To ensure that the scheme is fit for this world-class landscape it is essential that the location at which traffic emerges into the landscape is one that can demonstrate it protects the OUV. As part of Historic England and National Trust’s consideration of the proposals, we have undertaken an outline assessment of potential OUV impacts, to help inform our position on the two route options presently in consultation. A copy of this technical report2 is included as an appendix to this response. We recommend that the report is carefully considered by Highways England, with particular reference to the conclusions on potential solutions for the western portal. Highways England will also need to consider the forthcoming report of the second Advisory Mission that took place at the beginning of February this year to consider the current proposals. The WHC and ICOMOS report should be given due regard in addition to our advice. West of the Western Portal – here the two options D061 and D062 diverge and follow different routes to the western WHS boundary. The following comments are route option specific, followed by issues applicable to both options in this section of the scheme: – the more northerly of the two options, the proposed route would bisect the Diamond Wood heading due west and leave the WHS approximately 600m south of Longbarrow junction. Archaeological assessment and evaluation was undertaken by Highways England in Autumn 2016 on land to the west of Diamond Wood, in consideration of a previous route iteration. This work confirmed the presence of a suspected long barrow, and identified a further, previously unknown long barrow and a hengiform monument. These newly identified monuments are of direct relevance to the OUV of the WHS and in our outline OUV assessment (see above) have been associated with other Neolithic and Bronze Age monuments to form the Diamond Group Whilst D061 has been designed to avoid direct impacts upon this archaeology, it would nonetheless run between the members of the Diamond Group of monuments, severing the most southerly of the long barrows from its neighbours. The severance and negative setting impact of the road cut through such a tightly knit group of monuments directly relevant to the inscription of the WHS would undoubtedly have a significant adverse effect on OUV. • D062 – This route option runs through the southern part of Diamond Wood before following a relatively low-lying contour to exit the WHS at a low point approximately 1.3km south of Longbarrow roundabout, passing across the A360 road into the woodland-enclosed field known as The Park. This route option seeks to utilise the topography of the WHS to advantage in providing a relatively unobtrusive path through the landscape. However, the consultation materials suggest a working assumption that much of the route would be ‘at grade’ or even on embankment. Our joint outline OUV assessment with National Trust suggests that a route option such as D062 (or any future variant) must be largely in cutting if it is to mitigate effectively a significant impact of any new road – the sight of heavy goods vehicles moving through the WHS landscape. We refer you to the report and its recommendations in terms of cuttings for the surface road alignment. Archaeological assessment and evaluation – the Diamond Group of OUV-relevant monuments referred to above was identified through early archaeological assessment and evaluation undertaken to inform a previous route iteration. Historic England was involved in both the design and monitoring of this archaeological work, which was carried out to a very high standard and intensively inspected. The results of that work allowed us a relatively high degree of confidence in the archaeological potential of the areas it covered. Both D061 and D062 were designed to avoid archaeology found in previous investigations, however the new alignments they take through the WHS will themselves require archaeological assessment and evaluation in that same way. It is strongly recommended that this work takes place in consultation with HMAG as soon as possible. Until the archaeological character of these routes is understood there remains the risk of significant finds being made along their alignments. Dependent upon the significance of that archaeology (if present) it could prove a substantive constraint to that particular route, therefore an early understanding of archaeological potential is essential. • Scheduled linear earthwork along west side of Diamond Wood – both route options would bisect Scheduled Monument No. 1010837 Linear boundary from south east of Winterbourne Stoke crossroads to south west of The Diamond on Wilsford Down. This monument is part a middle Bronze Age land boundary which runs for several kilometres along a general north-west/south-east alignment. A circa 1.2km length of the boundary is scheduled from southwest of Longbarrow junction to south of the Diamond Wood where it survives as an extant earthwork, albeit variably preserved within arable land. As it is later than the Neolithic/Early Bronze Age period for which the WHS is inscribed this monument does not carry OUV, but is nonetheless a nationally-important, protected site. Ordinarily Scheduled Monument Consent would be required for the loss of part of this monument, but under the Planning Act 2008 that consent is subsumed within the Development Consent Order process. Regardless of how consent is determined, NPPF identifies Scheduled Monuments as one of the most important types of designated heritage asset, and provides plain guidance on the wholly exceptional circumstances in which harm to or loss of part of such an asset might be contemplated. This includes a requirement to set out a clear and convincing justification of the significant public benefits that would be secured in order to offset that harm. We would expect Highways England to set out a strong justification for the loss of part of this linear monument if either of these route options are progressed to a DCO application. Winterbourne Stoke Bypass – At the time of writing neither bypass option has been subjected to archaeological assessment and evaluation as part of the current scheme. We recommend that this is progressed as soon as possible to inform considerations over the best route around Winterbourne Stoke. Our concerns with regard to the WHS will be in terms of avoiding harmful impacts upon its setting caused by the route outside its boundary, however we are aware that there is a very rich archaeological potential for archaeology of all periods (not just OUV-relevant) within this landscape and the advice of Wiltshire Council’s Archaeology service should be sought to assist in this. International - In 1984 the UK ratified the World Heritage Convention 1972, article 4 of which requires State Parties to do “all they can, to the utmost of their abilities” to protect and transmit the OUV of their WHSs. Details on the scope and nature of relevant protection efforts are set out in the Operational Guidelines for the Implementation of the World Heritage Convention (World Heritage Committee 2005). In addition, ICOMOS International, heritage advisers to the UNESCO World Heritage Centre, has produced supplementary guidance on Heritage Impact Assessments (HIA) for development within WHSs (ICOMOS 2011), to gauge the effect of proposals on OUV. It recommends an iterative series of HIAs, undertaken as a project moves from initial scoping through design and application. We are aware that Highways England has commissioned HIA iterations for the early stages of the scheme, but note that a full and thorough Heritage Impact Assessment in line with the ICOMOS 2011 guidance will be required to accompany any scheme going forward. As noted above, the special qualities of the WHS were formally set out in the Statement of Outstanding Universal Value (SOUV) adopted by the WH Committee in June 2013. The SOUV describes the Attributes of OUV that are central to the significance of the WHS. Importantly, these not only refer to Stonehenge and its relationship to the other major monuments, but also to the relationship between individual groups of monuments themselves and the value of night skies & relevant astronomical alignments. The value of the whole WHS as a “landscape without parallel” is also recognised as an Attribute. National - As a nationally-significant infrastructure project (NSIP) the A303 Stonehenge Improvement will seek consent via the Development Consent Order (DCO) process under the Planning Act 2008. Schemes seeking DCO must demonstrate that they comply with relevant international treaties to which the UK is a signatory. The 1972 World Heritage Convention is one such treaty. The DCO process follows the policy and guidance in the National Planning Policy Framework (DCLG2012), supplemented by the online Planning Practice Guidance (Gov.uk website). Both sources contain clear guidance on how to approach historic environment issues within the context of development. NPPF identifies World Heritage Sites as one of the most important forms of designated heritage asset, whilst the supplementary PPG contains further guidance on how to treat WHSs, including a link to the ICOMOS 2011 HIA guidance. Local - the scheme should comply with the 2015 Stonehenge and Avebury WHS Management Plan, which contains a series of policies agreed by all WHS partners (including Highways England) for the protection & enhancement of the WHS. The Plan includes policies on the impact of roads and transport and broadly states that solutions to intrusive traffic issues, including the A303, should protect the OUV of the WHS. The Plan carries weight in the local planning process and although the current Plan has not been formally adopted as SPD it can be expected to be a document of interest in consideration of the DCO. From our prior engagement in the scheme we are aware that Highways England and their consultants are working to all of the policy requirements set out here, in order to develop a scheme fit for the WHS – we encourage them to continue work closely with us and other heritage partners to ensure the emerging scheme accords with this strong raft of policy protection. Both options D061 and D062 include a tunnel of at least 2.9km within the Stonehenge World Heritage Site. This would remove the majority of the existing damaging A303 road and its traffic from the WHS, finally reuniting the north and south sides of this extraordinary ancient landscape and allowing people to enjoy and understand it better. It would also allow for the reinstatement of the line of the Stonehenge Avenue, the ancient processional route to the stones. This is the first time that a scheme to improve the A303 within the Stonehenge landscape has recognised and respected the importance of the Avenue. However the current proposals for the tunnel’s western portal are a cause for significant concern. This is due to the portal’s current proximity to the Normanton Down barrow group and the wider adverse impacts on OUV presented by its position. We hope that these concerns can be resolved with careful and sensitive revision to the positioning and design of the western portal. This is a key issue to resolve for the development of a successful scheme that we would be able to support through the DCO process. We are committed to working with Highways England to find an alignment and design for the western portal and new western surface road that is appropriate for this internationally important place and protects its Outstanding Universal Value. We believe that this scheme presents the best chance in a generation to resolve the long running traffic problems that blight the WHS, and that the current proposals contain many positive aspects which deserve recognition. They represent a huge opportunity to develop a road improvement within the WHS, but the scheme must improve its western elements for this to be the exemplary scheme that the Stonehenge WHS so deserves. PHIL MCMAHON Inspector of Ancient Monuments Appendix 1, Historic England and National Trust, Stonehenge A303 improvement: outline assessment of the impacts on the Outstanding Universal Value of the World Heritage property of potential route options presented by Highways England for January 2017, 2017 .